What will be inside your kitchen cabinets in the future? There is a revolution happening inside your kitchen cabinets, and it’s in the form of technology. Amazon Dash is a button that you put on the door of the cabinet you keep a particular item in. Say you use a certain brand of dishwasher tablets – you can buy a Dash button for that brand, link it to your Amazon account and attach the button to the cupboard door. Whenever you’re running low on tablets, merely press the button and it will automatically add dishwasher tablets to your next order. You can also install a fridge camera that links to an app on your phone so you will always know if you have enough milk. More sophisticated versions will track everything in the fridge, let you know when sell-by dates are looming, remind you when you’re running low on anything, and even tell you if the fridge is at the right temperature. And, of course, it will link to an online account to automatically order replacement items so you don’t even have to think about your shopping list, let alone make one! In October, industry leaders, start-ups and inventors came together at the third Smart Kitchen Summit. The conference took a closer look at the kind of technology we may be storing in our kitchen cupboards in years to come. Delegates saw gadgets and prototypes of the kind of technology that will be helpful to us, such as devices that will keep an eye on our diets, ovens that will assess optimum cooking times and text family members when dinner’s ready, smart pans that will tell you to turn the heat up or down depending on what you’re cooking, and even robotic pancake makers. According to one speaker at the Summit, Americans spend 60% of their waking hours at home in the kitchen. If we all become mere slaves to cooking technology, it’s likely that the kitchen will have a less prominent place in the family home. Let’s hope that the future of what’s happening inside our kitchen cabinets won’t stifle the joy of actually using our kitchens. 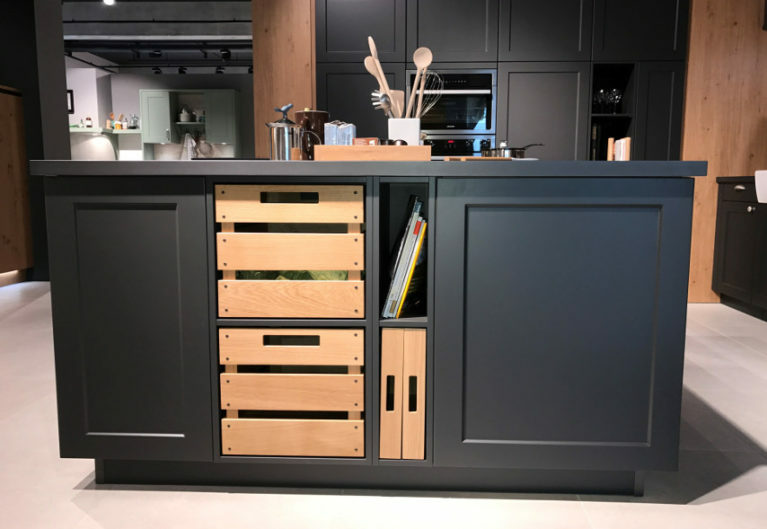 If you are looking for new kitchen cabinets that will help make being in the kitchen a pleasure and encourage you to be more creative in your cooking, visit our North London/Cheshunt showroom to see our stunning range of modern kitchens at mid-range prices.